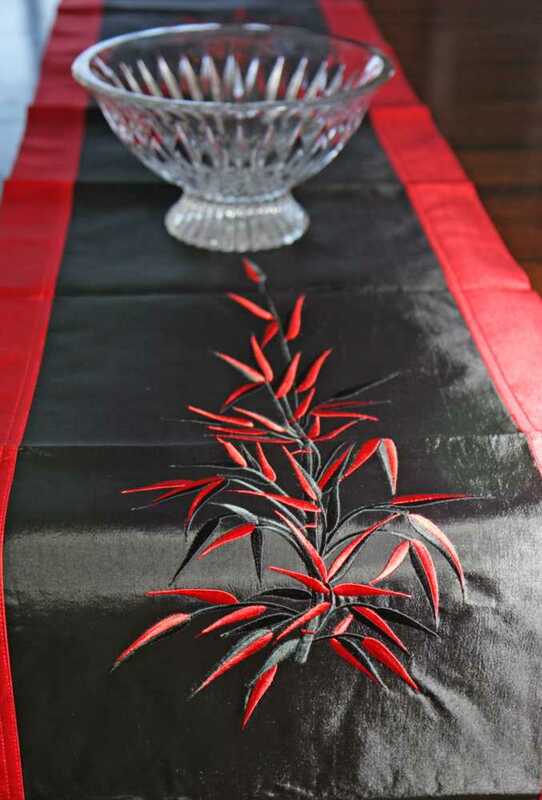 Beautiful table runner made with high quality Vietnamese silk. 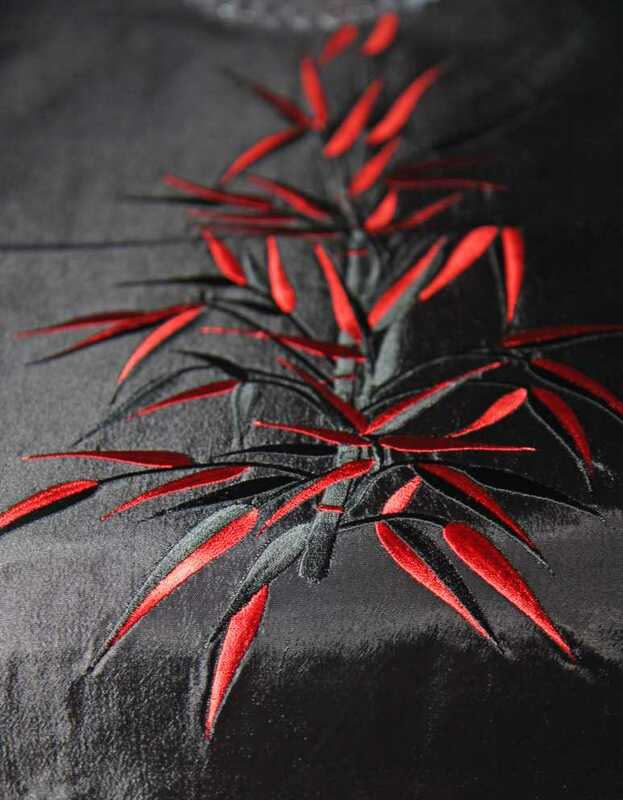 Charming bamboo are embroidered on black silk with beautiful red silk trim. 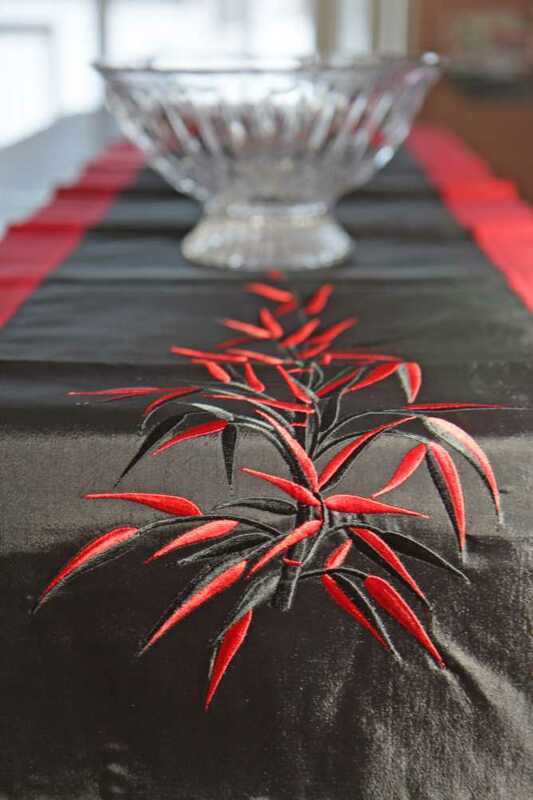 Carefully made and beautiful in every detail This silk table runner is going to make your dinning table glamorous during holidays. The richness of silk is adding the luxurious texture and color to your home. A great gift for all occasions!